The Propeller module is a multi-processing chip, with shared memory and a built-in interpreter for programming in a high-level object-oriented language, called Spin™, and low-level (assembly) language. With the set of pre-built Parallax "objects" for video, mice, keyboards, NTSC/VGA displays, LCDs, stepper motors and sensors your application is a matter of high-level integration with Propeller chips. 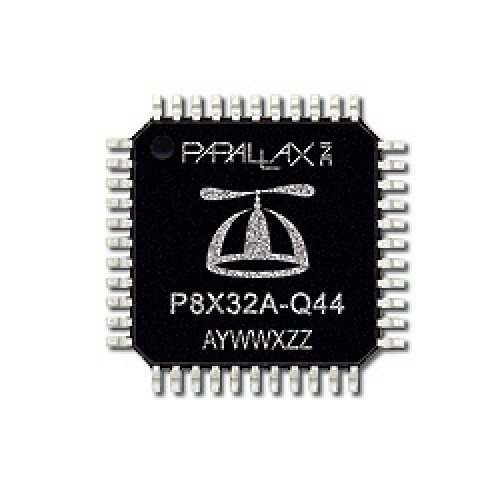 The Propeller chips are designed for high-speed embedded processing, while maintaining low power, low current consumption and a small physical footprint.